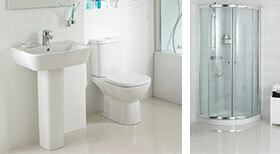 We are Bathroom, Plumbing & Heating specialists. 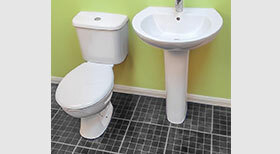 We have been supplying Ireland plumbers, contractors and homeowners with all their plumbing, heating and bathroom needs for 55 years. Sourcing from our extensive list of supplier partners, and with showrooms and warehouses in Belfast, Ballymena, Newtownards, Maghera, Portadown & Lisburn, we are able to stock and supply a huge range of products. Our suppliers are some of the world’s most renowned, among them... Duravit, Hansgrohe, Merlyn, Ideal Standard, Victoria and Albert, Vitra Designer, Porcelanosa, Adamsez, Keramag Design, Burlington and Matki. We also have our exclusive 'Own-brand' Instinct, which is fast gaining a reputation for quality and value. We count an array of architects, interior designers, developers, plumbers and home renovators among our expanding client base. Why not pop in or give us a call and see how we can help.